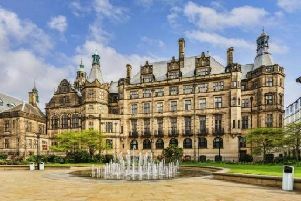 The weather in Sheffield is set to be wintry today, as forecasters predict periods of small sunny spells and cloud, alongside icy conditions and below freezing conditions. There are two Met Office warnings currently in place across the UK, with a yellow weather warning for ice in place for Sheffield until 11am this morning, as wintry conditions continue. This morning will see cool, icy conditions, with the temperature reaching its peak of 3C of by lunchtime. There will be some sunny spells throughout the morning, but temperatures will remain cool. This afternoon will continue to see sunny spells, with the temperature remaining at 3C. This evening will become quickly dark, with the temperature plummeting after 5pm, dipping to 1C by 7pm. The temperature overnight will reach -1C. Tomorrow will be cloudy throughout the day, with temperatures remaining cold. The morning will see temperatures of -1C, reaching 2C during the afternoon and remaining so into the evening. Looking further ahead, the Met Office UK outlook for said: “Cold weather will predominate throughout and Monday will start with a widespread frost. “Most places will probably be dry and bright during the day but rain showers are likely in the southeast at first. “It will be windy in northwest Scotland, with blustery showers and further snow on hills. The showers may well spread further south and east on Tuesday. “These are likely to bring hill snow to many areas, and perhaps some snow at low levels for a time. The timing of this is quite uncertain though.